Every December my mum and I go to York for a lovely girly weekend and Christmassy shopping trip. I went to uni in York and love it to bits, we both do, and our trip is one of the highlights of the year for us both. I stayed with a pagan friend of mine this summer and she recommended I take a bath with water from Roman chamomile flowers. 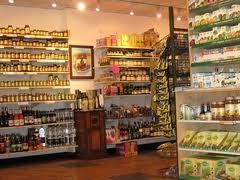 So when we were in York my Mum and I went into this health food shop to try and find them. I have walked passed Tullivers countless times and never been in before - what a discovery! They had jars of herbs behind the counter so I got my chamomile flowers. I also asked the man there what to use for my flaky eczema scalp. He gave me two options - one which was expensive and nicer to use, and one which was cheaper and not so nice to use, but had the same effect. I went with the cheaper one :) So I bought a bottle of JASON dandruff relief shampoo. I also bought a bar of Dr Bronner's baby mild soap. 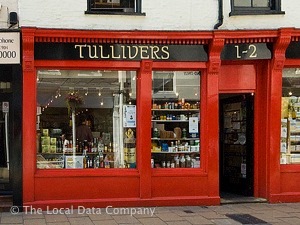 Tullivers had a brilliant range of skin care and hair care products, loads of vitamins and supplements plus a fab choice of health foods. I could have spent a lot of money in there! Unfortunately you can't order online, which is SUCH a shame. I'll definitely be going back to Tullivers on our next York trip though.